Installing a new front license plate is a quick task that every driver needs to know how to do. With a one simple tool, you will be able to remove your vehicle’s old license plate and install a new one in only a few minutes. Use these directions to install a new decorative license plate. 1. Gather all your tools and supplies. 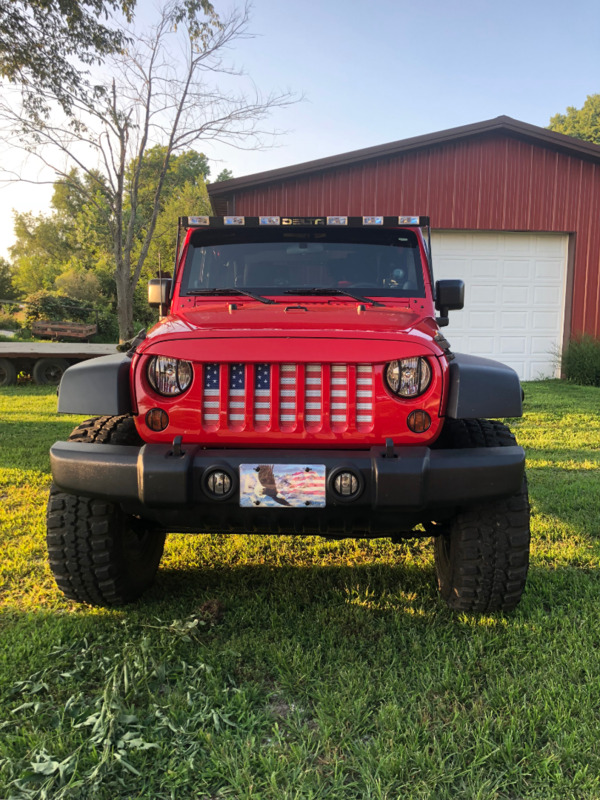 You will need a screwdriver ( Phillips or Flat Head ), your new front license plate, and if you are also installing a license plate frame or clear protective license plate cover and the correct screws or fasteners. If you already have a front license plate installed, remove the old license plate. Using the appropriate screw driver, remove the screws that are holding the current license plate in place by turning them in a counterclockwise manner. Place the screws in a safe place while you remove the old license plate. Remove the old license plate and set it aside. 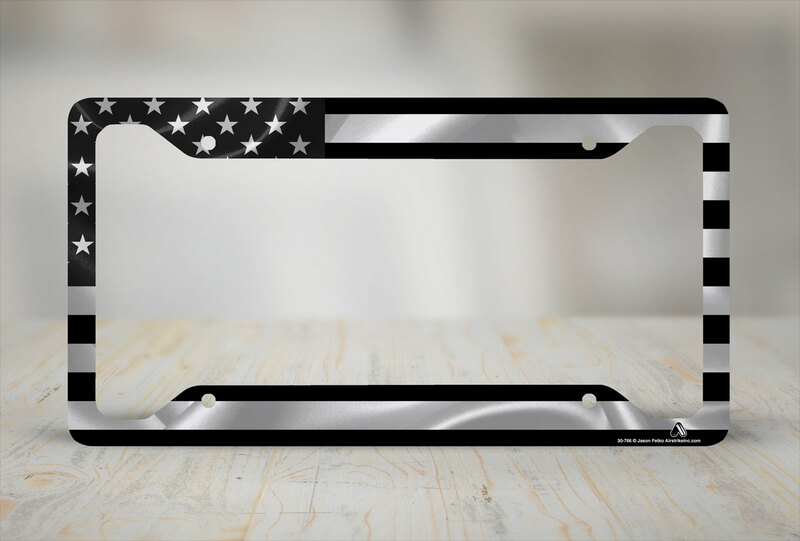 Align the new front license plate so that the die-cut mounting holes match the appropriate holes on the bumper of your vehicle. 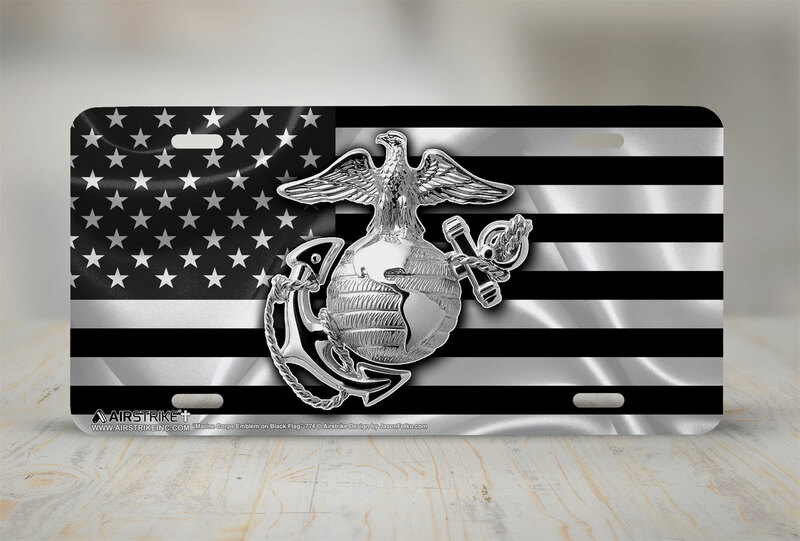 If you are also installing a license plate frame or clear license plate protective cover, then align the holes of the frame or cover on top of the license plate. Attach the new license plate using the screws you previously removed or use new screws. While holding everything in place, turn the screws in a clockwise manner. 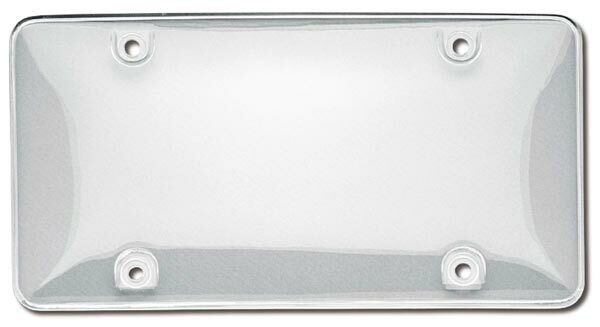 If installing a clear license plate protective cover, be careful not to crack the shield by over tightening it. You want to make sure that the license plate is secure but you do not have to over tighten the bolts. Made of Rust Resistant Aluminum Metal! Artwork is Printed with Bright Colors that Really Pop! Amazing Picture and Great Color that is Absolutely Gorgeous! The clear U.V. acrylic extends away from the plate, keeping plates looking clean and new. The Ultra Violet protection means that this shield wont yellow or crack from the sun's harmful rays. Please Watch a Special Message From Veronica!